At Powder White we have started the long and rigorous process of selecting over 100 chalet hosts for the Ski Season. We thought that we would share with you some top tips on how to get a job as a chalet host with any operator and enjoying a fun filled five months in the mountains. The Chalet Host’s job is hard work – there are no two ways about it. You normally have to get up and be in your chalet at 7am, followed by a furious 4 hours of cooking, cleaning and being delightful to your guests. Then you have your ski time, only to return to your chalet at 5pm for another 5 hours of cooking, washing up and entertaining, all with a smile on your face. No doubt you will want to enjoy a few drinks with fellow chalet hosts after the evening shift, meaning a late night, only to be up at 7am the following morning. With only one day off a week, for 18 weeks in a row, this job requires stamina. Your CV should illustrate that you can work hard and keep up with the pace. The number of CVs that we receive that are more suited to a corporate job in the City rather than a season in the Alps is too many to count. Whilst it is a bore to tailor your CV to the exact job you are applying for, it is a worthwhile exercise when you are hunting for a chalet host job. Your work experience in the local pub may not help your aspirations to become the next Wolf of Wall Street, but they may bolster an application for a chalet host job. Any experience in a catering environment would be relevant. If you have been to a cookery school then this should be heavily highlighted. If you have not been to a cookery school, but have a lot of experience and a passion for cooking, make this explicit in your CV. If you are planning to go to a cookery school, let us know. OK – I appreciate I probably sound like your mother, but this is the first hurdle that quite a few applicants fall at. Looking like you have just walked off a beach says to us Operators that you don’t take your application seriously. I am not saying that you have to be suited a booted, but if it looks as though you take care of your appearance, then it speaks volumes about your standards. In our opinion, if you look grubby, you probably are grubby, and we would not want you looking after our guests. Looking smart is a very easy way to set you aside from applicants who don’t make the effort. Another obvious thing that so many applicants fail to do. One of the first questions that you will be asked in the interview is “So, what do you know about Powder White” or whoever. If you are sitting there looking like a rabbit in headlights, it immediately says to us that you have not had the foresight to do a bit of research. Not all chalet companies are the same, and you may feel that you are a better fit in some chalet companies and not others. By doing a bit of research, you will be able to work out who you want to work for, but at the same time, learn a little about the companies. Probably the second question you will be asked is “Why do you want to work for Powder White?” or whoever. Again – obvious, but not everyone has worked this out, and sit there feeling stupid. Get an answer prepared so you can confidently say why you want to work for the company. 6. Smile, be positive, personable and confident. Most applicants think that being a chalet host is all about cooking and cleaning. They are right to a certain extent, as that is the bulk of the work. But the difference between a good chalet host and a great chalet host is how they come across to the guests. Some of the best Chalet Hosts that we have had at Powder White, have not only managed to score on the culinary and cleaning fronts, but who have consistently managed to hit it off with the guests. The ‘hosting’ element of the role is incredibly important, and can make your job so much easier if you can get it right. So when you are in the interview, smile, be confident, and demonstrate that you have the personality to be able to interact with all sorts of guests from different backgrounds and nationalities, and you will get the job. Inevitably, at the end of the interview, your interviewer will ask whether you have any questions. Prepare some. Not “How much do I get paid?” as it demonstrates that you don’t understand the role that you are applying for (the answer will be not very much, as you get so much else thrown into the package), but at the same time nothing too highbrow, like “What is the company’s five year strategy” as a) the interviewer may not know, and b) it is not really relevant to your job role. You need to think of something that you genuinely want to know the answer to – so think about it. Again, it demonstrates to us Operators that you have thought about your application, and you want the job. This is probably the easiest way to separate yourself from other applicants and get your interviewer onside! But you have to bake the cake yourself as you may be asked how you made it, and we can tell whether it has been shop bought or not (Paul Hollywood and Mary Berry do not come close to the Powder White crumb-structure assessment! Just ask Biffen’s Kitchen our chalet host ). Again, it demonstrates that you have relevant ability (as you will baking a lot of cakes during your season), you care about your application, and you are prepared to go the extra mile. Also, who doesn’t like cake?! You will have probably secured the job (or not) during the interview, but do still thank the interviewer for the interview afterwards. So few applicants do this, so it is an easy way to separate yourself from other applicants, but also it shows you have manners – to sound old-fashioned for a moment, it is unusual for good manners to be demonstrated these days, so that when they are, it makes one sit up and notice. Again, easy to do and no one does it, so do it! It may tip the balance in your favour. There you go! A few top tips from the horse’s mouth. 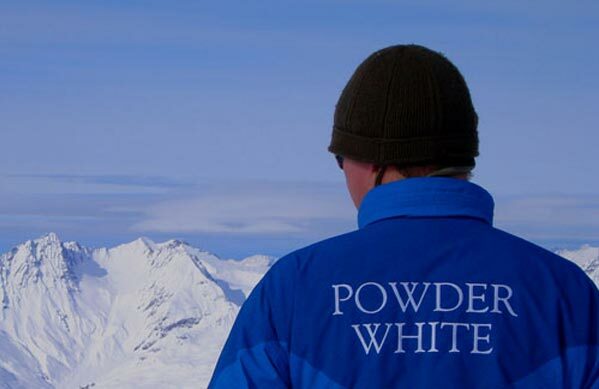 If this has not totally put you off applying for a job as a chalet host, Powder White is currently recruiting for Chalet Hosts, Drivers, Assistant Resort Managers and Resort Managers, so do feel free to have a look at the job roles available here.